Thank you to all our supporters who contributed to the firefighting efforts on Mount Kenya. 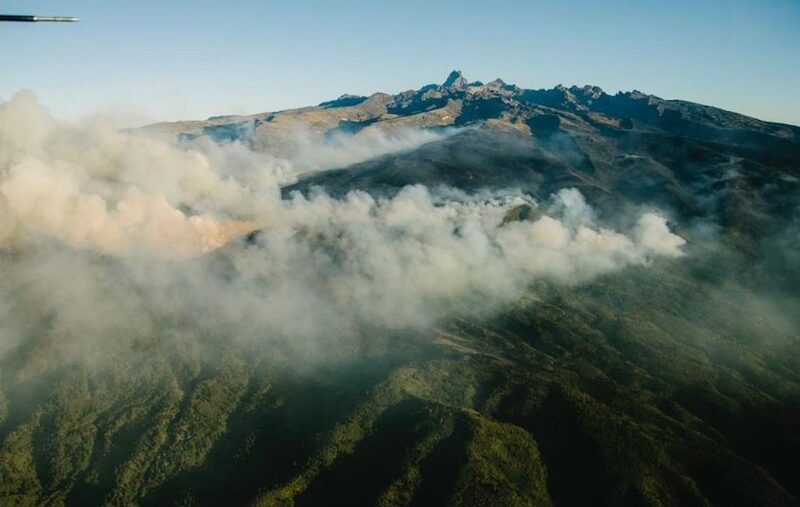 Thanks to your generous support Tusk was able to provide £15,000 ($20,000) in emergency funding to help our project partner, Mount Kenya Trust, prevent the spread of the fire and restrict the damage. All the donations received have been used to cover costs for the aircraft, fuel vehicles, hire vehicles, purchase tools and rations for the large teams working hard to put out the flames. All the fire beaters that were damaged were replaced and more tools and equipment will be purchased with the remaining funds – for example, more tents and sleeping bags as well as overalls for future fire fighting. The teams are still on standby to react to any fires and they are also working on a plan for training and more fire breaks to be created. 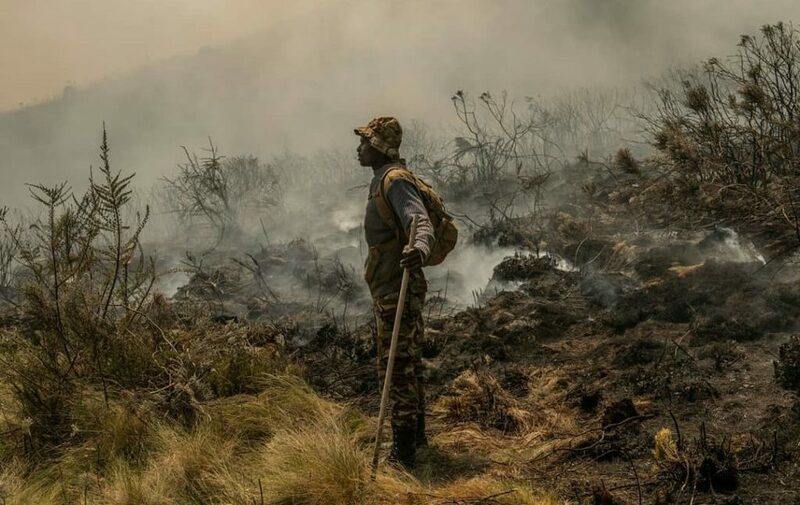 Thanks to your contributions and support from elsewhere the Mount Kenya Trust were able to keep the fires out of the forest, the most critical ecological zone. The fires are out, at least for now, thanks to a combination of your donations, a lot of hard work, the spray planes and some well-timed rain. 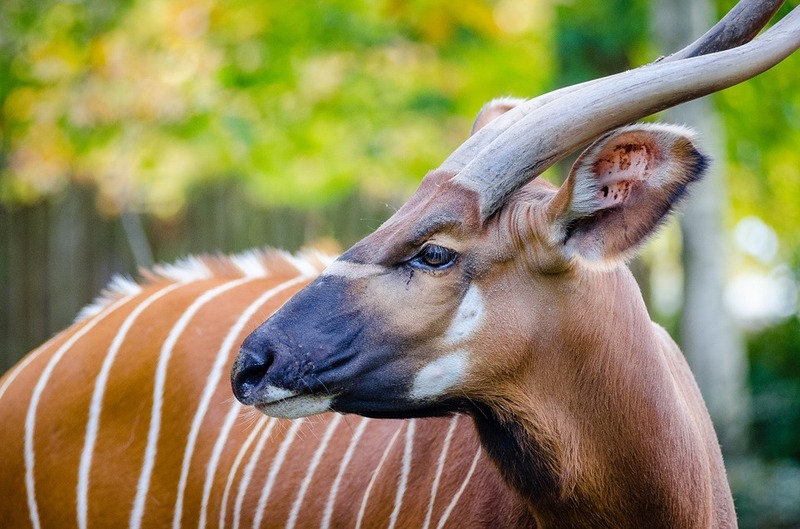 The mountain bongo is a critically endangered subspecies of the bongo, one of the largest forest antelopes, with a reddish-brown coat, with black, white and yellow-white markings. 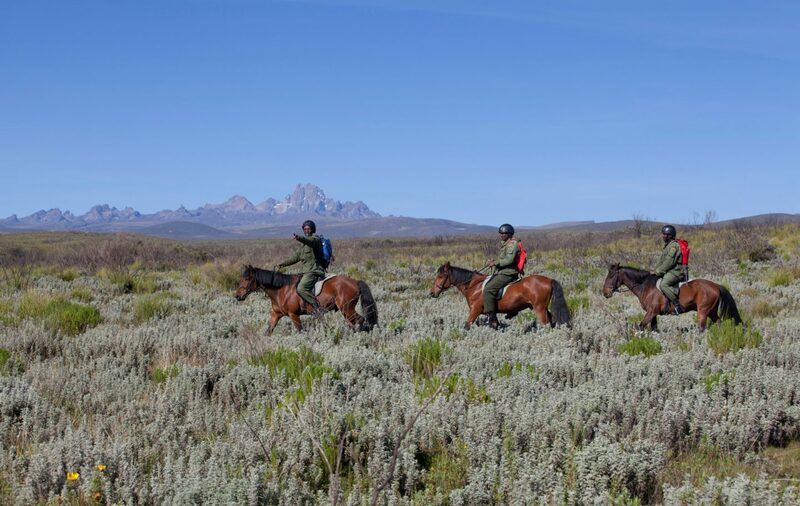 The Mount Kenya Trust works with the Kenya Wildlife Service (KWS), local communities and others to protect the forests of Mount Kenya. It operates patrol teams which remove traps and snares, arrest poachers and loggers, and fight forest fires. For the past week a devastating fire has been raging across the Mount Kenya region. Fuelled by very high temperatures and winds, it has already destroyed 20,000 hectares of moorland within the mountain ecosystem.